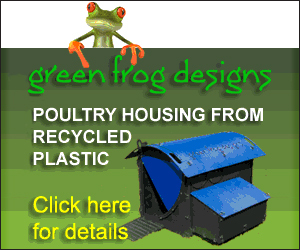 Chickens love greens just offer them a head of cabbage, floret of broccoli or even a handful of fresh grass clippings and see how eagerly they consume them. Many of you will know that greenery imparts the intense yellow to the yolks of eggs from hens that are allowed to browse – something that can be sadly lacking in the supermarket offerings. You will find that, given the opportunity, your hens will display a natural instinct to forage for herbs, plants and flowers. Although some can be poisonous chickens seem to have an uncanny knack for avoiding the worst and with their highly developed sense of smell and taste buds these gourmets of the poultry world will seek out and experiment with a multitude of tastes. Many plants have healing qualities and are beneficial in our diets and it is much the same for chickens. Below are just a few of the most common or useful ones you could grow or introduce into their diet. Note: If you collect your herbs from the roadside or from an area that may have been subjected to overspray from pesticides or other chemicals you may want to rinse them under water before your chickens consume them. Also remember that when chickens eat greenery direct from the plant they will be pecking small pieces at a time. Long fibrous material can cause problems with compacted crop so it is a good idea to either cut long strands into shorter lengths or to tie them securely in a bunch and suspend them so they can be pecked at your chicken’s leisure. 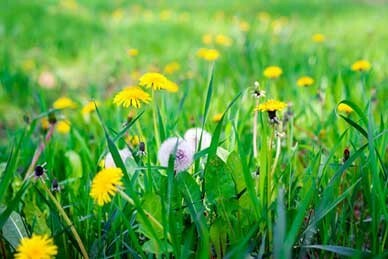 An easily identified weed the dandelion is a good source of calcium, vitamins and minerals that are important for your chickens’ health. It has a natural mildly diuretic effect that can help control internal parasites. The whole plant is edible including the roots. This prolific annual weed grows in many types of soil. It is packed full of nutrition and is a natural pain reliever and cleanser. 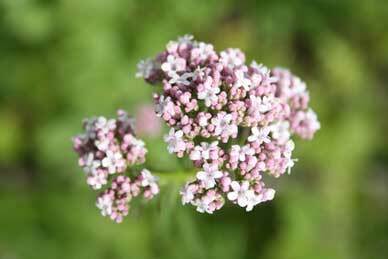 Feed the leaves and flowers but leave a few flower heads on the plant so they go to seed to ensure a plentiful supply for the following year. Old-school garden perennial that chickens will eat readily. Leaves and flowers make a nutritious, vitamin filled, snack that may help if your chickens seem stressed. Fast growing aromatic perennial that grows all year round in a wide range of conditions. 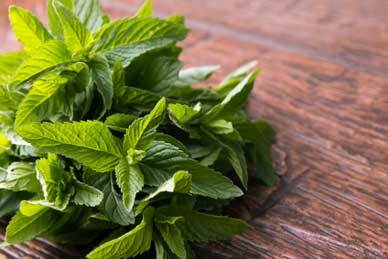 Spearmint can help to inhibit the spread of worms in your flock. A few sprigs placed in the coop can also help to repel flies. Added to their water or chopped finely into food, garlic can help to keep worms under control naturally. Garlic is also an antiseptic and can help support your chickens’ immune system against germs or if they are feeling under the weather with a cold. 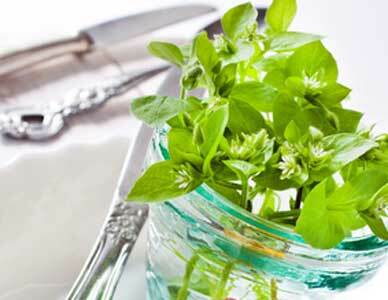 As well as dishing up these herbs individually you could combine them to make a delicious salad that (with the exception of the Valerian which is not the most pleasant smelling plant) you could also enjoy yourself.